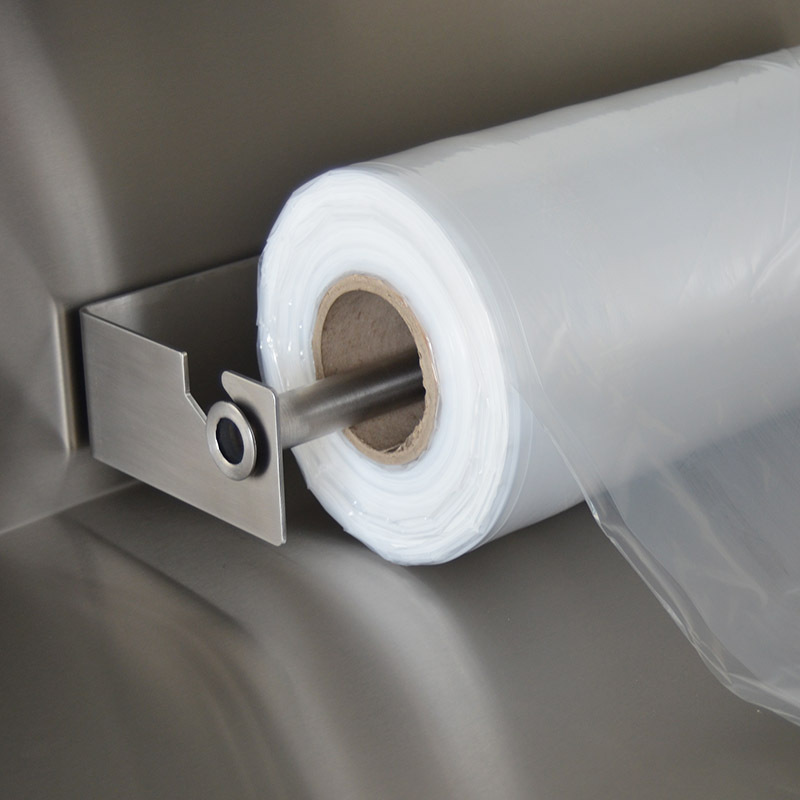 Pac Food’s Biodegradeable Trolley Covers are an environmentally friendly alternative to cling wrap or cloth (washable) covers. Covering a trolley with cling wrap is a tiring and extensive job, not nice for someone to go around and around a trolley, wasting a lot of cling wrap. Also the removing of cling wrap is not an easy job. The washable cloth rack covers are often heavy and difficult to apply. Washing them is expensive and time consuming, making it necessary to have many available, in case of some covers being washed. We realise that covering a trolley takes up a lot of plastic, therefore we designed biodegradable trolley covers, using oxo degradable techniques. 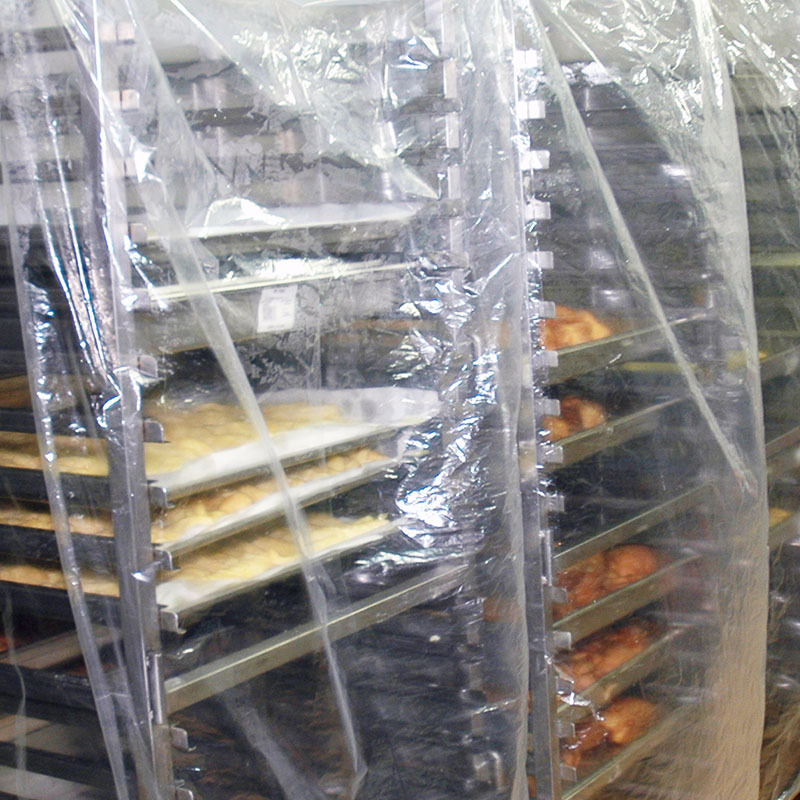 Our rack covers will disintegrate after a certain amount of time, under the influence of humidity, heat and sunlight. Keeping them in a dry, cool and dark place will give you plenty of shelf life. Pac Food trolley covers are made out of clear (low density) plastic, so you can see through and see what is happening on the other side of the trolley. This is very important for WHS! They are strong (30 micron), 100 pieces perforated on a roll and very easy to apply. 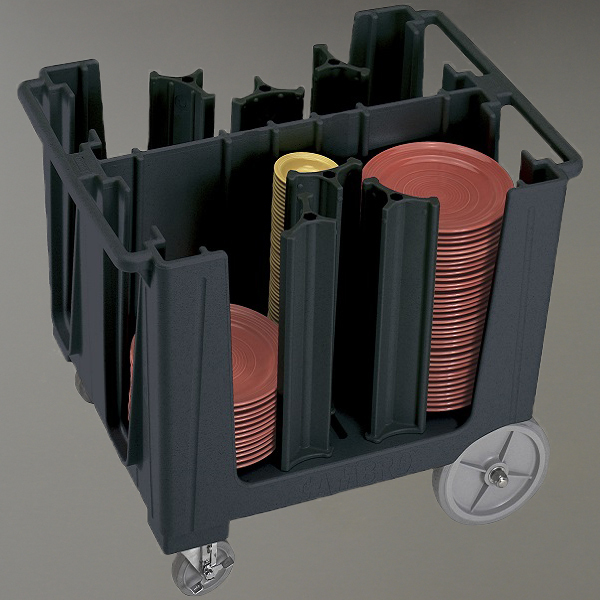 Using Pac Food’s wall brackets, simply place the trolley under the bracket, open the cover and slide over the trolley. Our biodegradable covers are suitable for trolleys which can fit 1 full GN pan on 1 layer, 2 x full GN pans on 1 layer and 4 x full GN pans on 1 layer trolleys. With Pac Food trolley covers your food will be covered in a few seconds in a safe and environmentally friendly way! 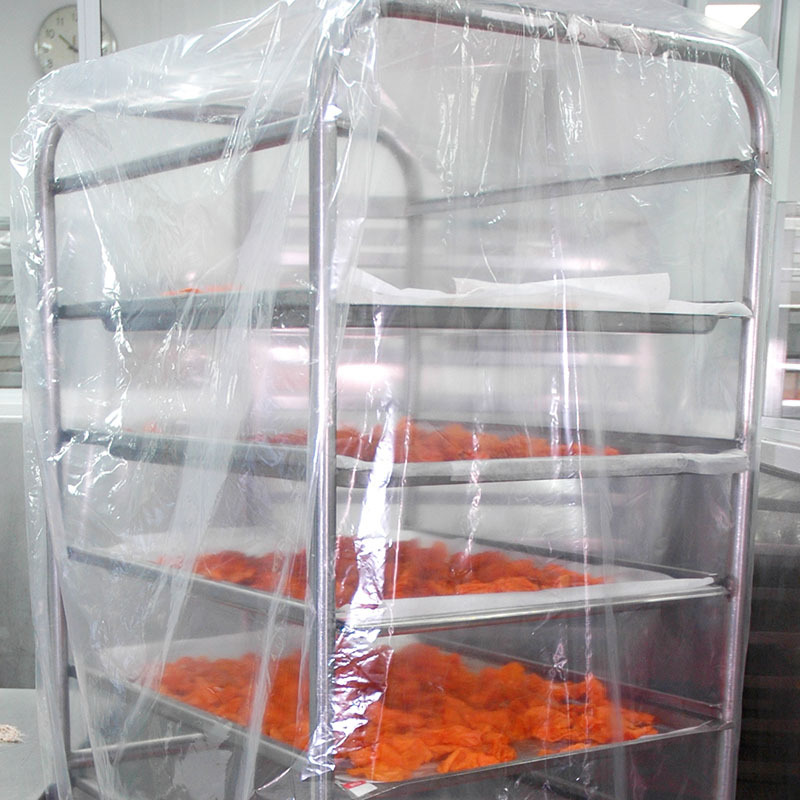 These covers are perfect to keep your plates clean and protected from dust and any contamination from the environment.